I have stumbled across a somewhat anoying problem while codeing in webstorm 7. For some reason i can't get the debugger to run a 2nd time. I.e i can open, and run my project correctly. But when i try to debugg said project it only works once. 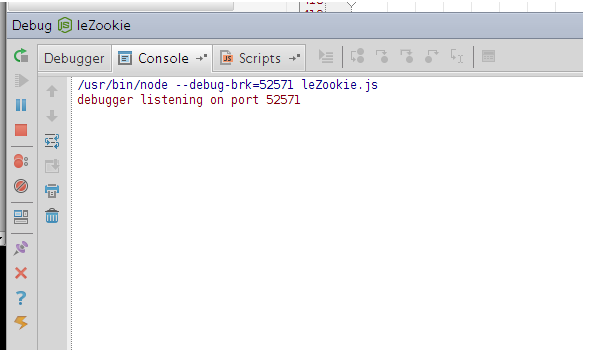 If i stop the debugger and try to debugg the same project again, then webstorm will stop/hangs after displaying: "debugger listening on port #" and nothing will happen. Any clue what could be causing this? will do. majorly anoying bug.